That’s the shocking claim of NBA icon Paul Pierce. The Lakers’ record slipped below a .500 winning percentage for the first time since November with their 117-113 loss against the Atlanta Hawks on Tuesday night, which came despite LeBron James going off for 28 points, 16 assists and 11 rebounds. Los Angeles have now gone 28-29 for the season and are 2.5 games back on the eighth-placed Sacramento Kings in the Western Conference headed into the All-Star break. 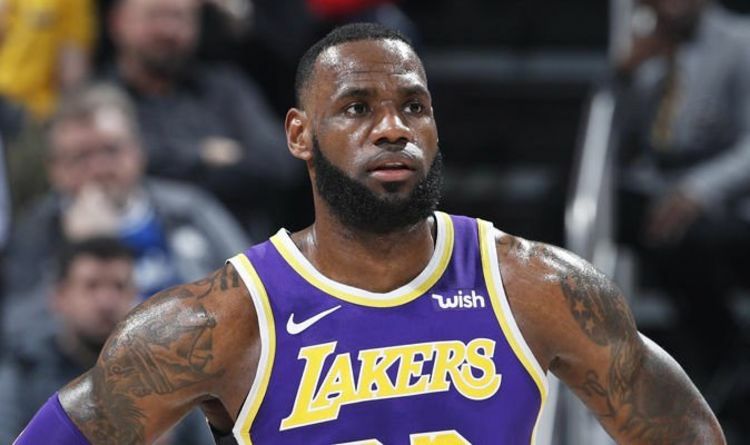 LeBron has not missed the playoffs in any of his last 13 seasons in the league and it was assumed his move to Staples Center would all but guarantee the Lakers’ post-season return after five years out of contention. But with LeBron having missed 17 games through injury and the Lakers dropping from fourth in the West to 10th and the Anthony Davis trade saga threatening to disrupt the form of the team’s young core, L.A. are in real danger of missing out. And 10-time former All-Star Pierce, who was named Finals MVP when he won a championship with the Boston Celtics in 2008, believes the Lakers should take LeBron off the court and accept the fact they won’t make the playoffs. That’s because he believes it would be better for the four-time MVP, who turned 34 last December, to rest with the Lakers knowing they stand very little chance of a strong post-season run. “I think you shut him down,” Pierce told NBA Countdown. “They already knew coming into this season this was the bypass year, you get to know your young ones. It was like tryouts. “What good is making the playoffs if this is not going to be the team they’re going to build with down the road? “All you’re doing is adding more wear and tear on LeBron, another year under his belt. “He’s missed more games this year than he’s ever missed and then you’re going into next season with more wear and tear. The likelihood of the Lakers actually shutting down LeBron is incredibly slim given their ambitions to end what is the franchise’s longest-ever absence from the playoffs in 72 years of existence. And head coach Luke Walton thinks his team is not all that far from where they want, and need, to be. He said after the Hawks loss: “It’s time for us to get away and reflect for a little bit about where we are as a group.